Being a stay at home mum is hard enough at times, let alone when you have the black cloud of depression hanging over you. 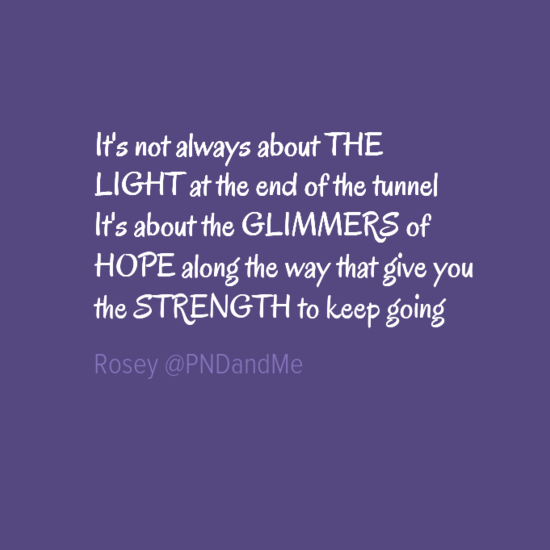 So I wanted to share some tips from myself and the #PNDFamily to help you through those bad headfog days of PND. So whether your time as stay at home mum ends when you go back to work or continues, I hope these can give you some hope. We SO often forget to look after ourselves when suffering with PND, we think about doing something when the kids are asleep but by the time they have finally settled, you are so exhausted all you can think about is your on head hitting the pillow! But it really is important, self care if essential for recovery. Do something that you enjoy, could be a new hobby or one you enjoyed before baby(ies) but make a point of doing something once a day, whatever it is make sure it is something just for YOU. Having quality time to yourself is really important. Make sure your partner/family can let you have a break to do things you like that doesn’t mean time to yourself to do chores! Maybe an evening class or hobby or even just watch a film or read. Sometimes trying to sleep even when you’re exhausted can be really difficult so it’s important to have wind down time – try putting your phone/laptop down and listen to some relaxing music, having a long shower/bath, or look into Mindfullness – a lot of PND sufferers find it helpful to reduce stress. Ignore the housework, rest of the sofa, or go for a walk, do whatever you helps you on those bad days. Some like to get out and about, if that helps you, do it – but if you prefer a quiet day at home don’t feel guilty about that, everyone’s recovery is different, find what works for you and keep doing it. Those bad days will soon become fewer and the foggy days will become a distant memory, but for now, just know that you can and will get better, take each day at a time, every hour if you have to. Visit someone daily so you can talk to an adult. Even if it’s the children’s centre or toddler group. Don’t hide away. There’s a lot of online support out there, via various PND support groups on Facebook, Twitter etc reach out – you don’t have to feel alone. It’s hard to ask for help but do it you’ll feel better for it, whether it’s asking a friend whose popped over to watch baby so you can grab a shower, or getting your partner to watch baby so you can go for a walk. If those around you know what you’re going through it will help you feel less alone, less like you have to put on a brave face – it’s ok to show how you are really feeling, it doesn’t make you a bad mum, it makes you a VERY strong mum for admitting you need help. Be honest with those around you, make sure everyone knows you are struggling. They can’t help if they don’t know try to get out of the house, have a space in the house that’s just for you. If you don’t find talking face to face easy (I don’t!) Try writing it down, that way you can get all your thoughts and feelings out and those close to you can read it and start to understand what you are going through – it’s also a useful tool when seeking help from GP or Health Visitor – writing it down enables you to express how you are really feeling. Again charities like Home-Start can be helpful here. Life as a stay at home mum can be isolating and lonely, but there is a big world out there of support and company – whether it be online or via PND support groups, your local mum and baby group or even a friend or family member – Talking really does help – doesn’t have to be about your PND, it could be about Eastenders, But if it helps you feel a little bit of a smile and lifts that fog for a bit, do it, you really will feel better. Find a local mum and baby group – NETMUMS has a big resource here – Support is essential. Join in #PNDHour Wednesdays 8pm on Twitter – or use the #PNDChat hashtag when tweeting about PND – Theres a few of us of check it daily – so support is never far away. If talking in person is too difficult – try writing it down, either to give to someone to help them understand what you are going through or just for you to read back, it all helps. When you are in the thick of PND some days can feel endless, clock watching until your partner comes home, or until you can finally put them to bed. The challenges as a stay at home mum are always changing, and quite often relentless, but in time you will start feeling better, the days will feel easier, the light at the end of the tunnel will start getting closer. But perhaps for now, don’t feel overwhelmed by looking for that big light instead concentrate on the little glimmers of light along your journey – the small wins – You got dressed – You got out the house – You braved a group – anything along your journey that offers a little hope – because eventually you’ll look up and realised you’ve already reached that light at the end of the tunnel. Obviously it is important to seek professional help (GP, Health Visitor etc) if you are struggling, but peer support can be a great help alongside it.